Past Conference–next year’s dates: March 27 – 29, 2020. Thanks to all who made it such a success! 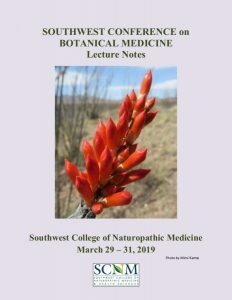 Annual Conference at the Southwest College of Naturopathic Medicine (SCNM) in Tempe, Arizona, March 29 – 31, 2019. See speakers and topics below. Continuing education: Applications approved for naturopathic physicians (California, Arizona and Oregon), nurses and acupuncturists. See below for continuing education details. Location: SCNM 2140 E. Broadway Rd. Tempe, Arizona 85282. Conference phone: 541-482-3016. Registration: $325 by February 20; $395 after that date. Includes all lectures on March 30 & 31. Extra fees for Friday events, meals and lodging. Online registration and phone registration are now closed. One of the first college campuses constructed with sustainable / green building techniques, Southwest College of Naturopathic Medicine (SCNM) provides an ideal learning environment: comfortable indoor classrooms and an herb garden for outdoor lectures and meals. In October, 2016, the new Commons building (pictured right) received LEED Platinum Green certification for promoting renewable energy, saving resources and having a positive impact on the health of its occupants. Just minutes away from SCNM, Embassy Suites offers two-room suites beginning at $139/night (plus tax). (800) 305-1369. Group #SBA. Discount good until March 1. The hotel still has a few rooms but the discount has expired. NEW! Register for your room online. It only takes two minutes. This intensive explores neurological disorders such as Alzheimer’s and Parkinson’s diseases. It includes an inquiry into genetic markers associated with disease occurrence rates, internal terrain markers associated with catabolic/anabolic imbalance, inflammation, stress hormones and reproductive hormone deficiency. We also examine the influence of chronic and acute stress, environmental toxins, diet, lifestyle, genetics and pharmaceuticals on cognitive function, followed by botanical solutions from ancient tradition and modern science. ($85) Read more. In addition to lipid imbalances, some of the key factors underlying CVD include inflammation, oxidative damage, hypercoagulation, low androgen levels, and arterial calcification. This lecture investigates each of these factors in detail. How inflammatory signaling directs immune function, and is tied to both coagulation and oxidative damage; how chronic stress is tied to an inflammatory cascade that leads to endothelial damage, immune dysregulation, and arteriosclerosis. How low levels of circulating androgens, especially testosterone and DHEAs, are associated with CVD mortality. And how calcium dysregulation stems from the over-consumption of calcium, poor digestion, and imbalances in vitamin D, vitamin K and parathyroid hormone levels. Based on this new research, a program using diet, exercise, botanical medicine, nutrition, and stress-relieving therapies, can often prevent CVD without the unwanted side effects associated with biomedical intervention. 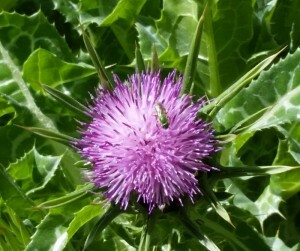 In difficult cases, botanical medicine can work synergistically with pharmaceutical interventions, reducing required doses and preventing side effects. With the opiate epidemic being a glaring example of how NOT to manage chronic and acute pain, this session explores what tools herbalists possess to help comfort and palliate acutely painful conditions effectively. Drawing from both folklore and modern research, this class offers instruction on preparing topical applications to manage pain. The last 15 minutes of the class time will be reserved for participants to share their own tools for effective pain management. This presentation addresses underlying causes and botanical protocols for hypothyroidism, hyperthyroidism and autoimmune thyroid diseases (Graves disease, Hashimoto’s thyroiditis). Chaparral, Yucca, Pinyon and Palo Santo all offer a natural method of healing and cleansing, affecting us physically, emotionally, mentally, and spiritually. Their use ranges from the medicinal use of a plant as a source of nourishment and replenishment to more sacred uses for spiritual healing. Increased life expectancy and a larger number of older people living with chronic disease will affect our lives and the life of each person we know. The regular medical paradigm regards the diseases of aging as individual maladies to be treated with pharmaceuticals. Part 1 discusses the chronic diseases of aging, and the frailty syndrome that accompanies them, which are now thought to be the norm. Causes include diet, lifestyle, accumulated stress and pharmaceutical side effects. New research indicates that aging is a condition treatable with broad-reaching, multi-adaptive health-promoting botanical and nutritional medicine. These are discussed in Part 2. Kids develop focus, attention and memory as they mature and develop their learning skills. Mind exercises and challenges can help and so can herbs. This presentation includes descriptions of kid-friendly ways to use herbs to cultivate focus and attention, including food recipes, beverages, aromas and therapeutic preparations to support brain health, for short and long-term applications in kids of all ages. 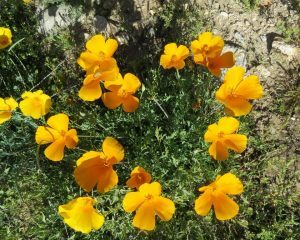 Mineral and trace element components of medicinal plants are the forgotten constituents in contemporary herbalism, yet they are essential in an overall therapeutic plan for the exhausted and malnourished patient. This presentation covers the roles of mineral and trace elements in maintaining health, their disappearance from the American diet in the last fifty years, and presents forms and recipes from the materia medica to assist in their restoration. As a keystone plant species, Osha, Ligusticum porteri, has always played a necessary role in traditional medicine. 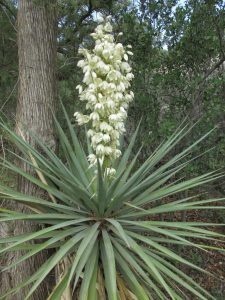 Although it is abundant in many areas, it is still locally overharvested. 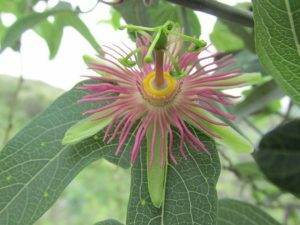 Learn about sustainability techniques to preserve this wild medicine, and investigate the medicinal qualities of this revered plant. Make an antiviral respiratory syrup with take-home samples. Experts now suggest a second path for aging, one that focuses on building robustness, resilience, and efficiency of autotrophic regulation. 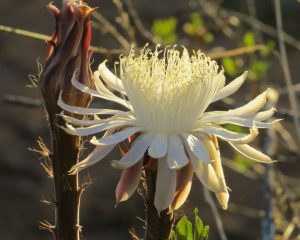 Botanical and nutritional medicine have been proven to support the preservation, protection and restoration of health. Recent data are presented on specific biological age-related biomarkers including telomerase, inflammation, oxidation (free radical damage), hormones, (blood, lymph and oxygen), stagnation and specific nutrient deficiencies that are associated with health decline and chronic disease, along with botanical and nutritional therapies to help reverse the decline. The therapeutic paradigms of Chinese syndrome patterns may at first seem irrelevant or difficult to apply for the Western herbalist. Chinese medicine offers a language which enables the recognition of patterns universally present in patients in the West. This allows the Western herbalist to more intelligently address these imbalances with our own traditional Western methods. 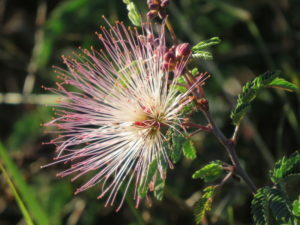 Genitourinary syndrome of menopause describes a group of symptoms commonly occurring during menopause, including vaginal dryness and pain, prolapse, incontinence, and bladder infections. Treatment can dramatically improve a woman’s quality of life. This presentation contrasts non-drug, herbal and lifestyle treatments with pharmaceutical protocols. Discusses treatment of wounds, sprains, bruises and musculoskeletal pain. Learn a few critical first aid gems using sports and kinesiology tape, as well as a short demonstration on closed-tissue injury poultices. Herbal protocols that help the body move more quickly through the inflammation and proliferation stages of wound healing are also presented. Great controversy still remains as to whether Echinacea purperea is actually an effective cold and flu remedy. The first part of this presentation illustrates the antiviral and immune modulatory effects of varying Echinacea extracts in vitro and discusses therapeutic implications in relation to antihistamines and nonsteroidal anti-inflammatory pharmaceuticals. The second section presents findings on the active constituents and physiological responses associated with Astragalus membranaceus, including immune cell activation, inflammatory responses and blood pressure modulation, compared to conventional pharmaceuticals including immune adjuvants and antiviral immune therapeutic drugs (interferon, interleukins etc). A segment of the populaiton experiences persistent weight gain or inability to lose weight that proves unrelated to their dietary and exercise habits. These are the people who have a regular schedule of aerobic exercise and weight training, are consuming a low carbohydrate, moderate fat and higher protein diet and are still unable to alter their body fat. The solution for many of these patients begins with an understanding of the relationship between the digestive system and the nervous and hormonal systems of the body, and botanical medicine and nutritional strategies born from an understanding of the body and the mind as a whole unit. 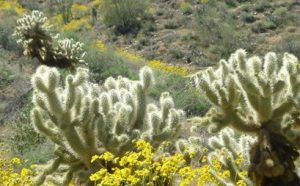 The spring bloom is usually spectacular in this 145-acre preserve offering over 4,000 desert plant species. 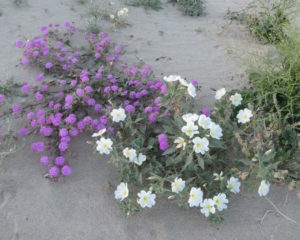 Learn to identify the medicinal plants of the desert and how to use them for medicine. Reserve your spot in advance when you arrive at conference registration on Saturday. Carpools leave from SCNM at 3:40 PM. This presentation begins with a discussion of the pharmacology, benefits and potential side effects of immunotherapy drugs and a description of their clinical applications in lung cancer, metastatic melanoma, multiple myeloma and other pathologies. Botanicals and selected nutrients can work with immunotherapy to enhance effectiveness and mitigate side effects. Includes a discussion of preventing herb/drug interactions with dosing schedules, and presents supporting research on synergistic effects. Early morning exploration of this beautiful garden reveals towering columnar cacti and the feathery shade and colorful beauty of exotic species. Discover their unique medicinal qualities, learn sustainable harvesting techniques and the best medicine preparation. Chronic inflammation is a persistent, dysfunctional inflammatory response. It damages cells and tissues, disrupts cell-signaling networks, and can predispose a person to autoimmune conditions or other chronic disease. Chronic inflammation is implicated in the pathogenesis of many conditions including atherosclerosis, arthritis, rheumatoid arthritis, chronic obstructive pulmonary disease (COPD), cancer, stroke, chronic pain, periodontal disease, neurodegenerative conditions and cardiovascular disease. Inflammation and pain are nearly always associated with each other. This lecture investigates the subjective nature of pain, its relation to inflammation, and the treatment of inflammation and pain with traditional Chinese medicine principles and herbs, supported by the latest biomedical research. Restoration of the gut mucosa and intestinal barrier with botanicals can offer specific support for mucosal immunity, cell regeneration and encouraging a healthy biome. Mucosal barrier and secretions are compromised with food allergies, stress, inflammatory gut issues and many systemic diseases. This presentation describes specific botanicals, their application and use in restoring mucosal immunity and health. Discusses traditional use, more science-based use and clinical applications in case histories. Research shows that the orthodox treatment of depression and anxiety is often not very effective. This class discusses the latest findings on the underlying causes of depression and anxiety. Learn to differentiate and appropriately treat the many different types of depression and anxiety including hepatic and GI based depression, hormonal depression, stagnant depression, old age-induced depression , panic disorder, GI based anxiety and generalized anxiety disorder. Fermentation is wild! And, yes, it’s naturally occurring… all around us, and within us. In this workshop, John demonstrates the basics of lacto-fermentation, wild yeast starters, and a step-by-step process to achieve unique, tasty, and healthful combinations from a variety of fruits. We look at some of the healing properties of fruits as they transform through the process of fermentation. Herbs can also be utilized in various forms during the fermentation process, including traditional preparations of mugwort, yarrow and hops. Dementia and delirium are known to be associated with drug toxicity from agents like anticholinergic medications, psychoactive drugs, antidepressants and anticonvulsants. Early diagnosis and withdrawal of the offending agent are the first steps for the prevention of drug-induced dementia and delirium. Most of the clinical circumstances that result in the prescription of a potentially toxic drug can be addressed through lifestyle changes, botanical medicine and nutritional intervention. Nerve damage in advanced diabetes is a stubborn problem and one with few effective remedies. This presentation explores vascular and neuroprotective herbs to consider for neuropathy, and details current research on herbal medicines to include in therapeutic strategies. The discovery of biofilms has opened a new frontier in understanding the health of the human body. Biofilms function in ways that can be beneficial or harmful. They play a role in antibiotic resistance, chronic infection and even chronic inflammation. Botanical medicine offers a number of possibilities to disrupt biofilms, which are presented in case studies on infections in the gut, urinary tract and respiratory tract. This class is an interactive, experiential, hands-on sampling of herbal pairs. Many samples, all from the SCNM herb garden, are provided for tasting and experiencing this concept of herbal formulation. Many people who rely on opiate medication or use heroin are trapped into continuing use to prevent the agony of acute withdrawal from such substances. Opiate use actually heightens pain, necessitating larger and larger doses. Cessation triggers a landslide of neurologic consequences from sweating, to nausea and vomiting, to agonizing physical discomfort, and mental and emotional irritability. Herbs can do wonders to soothe this brutal process; Dr. Stansbury shares her protocol for withdrawal. Bitter herbs and the bitter action are central to herbal medicine and to optimizing digestive function while supporting a healthy microbiome. The role of the bitter action is applicable in many digestive conditions including gastric ulcer, IBD, SIBO, indigestion, food allergies and leaky gut. This class looks at the application of bitter herbs, specific bitter herbs and active constituents, along with microbiome support and health. Case history examples are included. In this lecture, Mark describes the sources of botanical adulterants and the herbs where they are most often found, with remedies for the future. He also speaks about the new Sustainable Herbs Program, which is dedicated to making the source and processing of botanicals more transparent. Begins with a demonstration of a table-top essential oil distillation system and describes the basics of distilling. Discusses practical applications of fractionated essential oils and their connection to natural flavor/fragrance, contrasting them with petroleum distillation and artificial flavor/fragrance. Differences between hydrosols, essential oils and steeped teas are included. Mold and mycotoxin exposure related to flooding and global weather shifting is definitely on the rise. The presence of toxic indoor molds with accompanying bacterial overgrowth is clearly detrimental to human health. Here we discuss the idea that mold-related illness exists in multiple facets; it is not simply a transient mucosal irritation with increased risk of asthma onset or exacerbation. The varying effects can include neurological symptoms, skin rashes, irritation of the mucous membranes, and long-term exposure can lead to development of multiple chemical sensitivities. Naturopathic techniques to reduce or remove the associated symptoms are presented. The beloved herb and food, Theobroma cacao, or chocolate, has many positive effects on health. This session discusses various preparations of chocolate and their specific benefits for cardiometabolic and respiratory conditions, in contrast to commonly prescribed pharmaceuticals for these conditions. We also explore sustainability and quality issues of chocolate in commerce. Samples provided. Dietetics and nutrition have long been essential elements of a therapeutic plan for medical herbalists. Individual macro and micronutrients may be viewed as possessing actions identical to those of medicinal plants, such as tonic, adaptogenic, antispasmodic, immunomodulating, anti-inflammatory etc. We discuss nutrients, vitamins, minerals, and other special nutrients in terms of what their actions would be if they were plants. 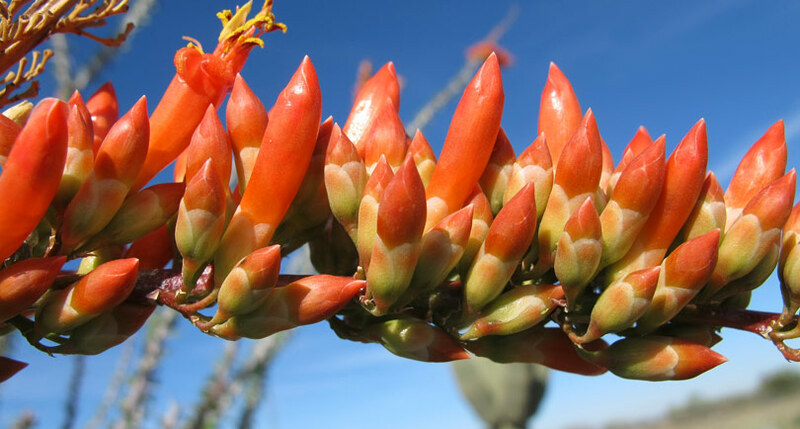 A bioregional focus on some of the prominent drought-resistant medicinals that seem to be thriving despite the changes in climate. The founder and executive director of the American Botanical Council and the editor and publisher of HerbalGram (an international, peer-reviewed quarterly journal), Mark has written hundreds of articles and appears on national radio and TV. 1. 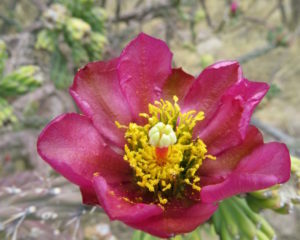 Demonstration in the Garden: Flower and Plant Essences: How to Make Them and How to Apply them. Jason Miller practices botanical and nutritional medicine, acupuncture, and Asian bodywork at his clinic, Jade Mountain Medicine in Ashland, Oregon. He recently received his doctorate in acupuncture and oriental medicine (DACM) after completing a master’s degree in acupuncture and Oriental medicine and completed a postgraduate internship at the “House of Celebrity Doctors” in Nanjing, China. His approach bridges the frameworks of traditional and modern medicine in the management of chronic disease. A Naturopathic Doctor practicing in Sun City, Arizona, He is the vice-president of the North American Board of Naturopathic Examiners and chair of the biochemistry portion of the naturopathic physician’s licensing exam. A naturopathic doctor, Jill Stansbury specializes in women’s health, mental health, and chronic disease. She teaches on the faculty of National College of Naturopathic Medicine, where she was chair of the botanical medicine department for 25 years. She travels extensively in the Peruvian Amazon to study indigenous healers and their herbs. David Winston is an herbalist and ethnobotanist with over 40 years of training and clinical experience in Cherokee, Chinese and Western/Eclectic herbal traditions. He offers a two year clinical training program in botanical medicine at David Winston’s Center for Herbal Studies and is the founder and president of Herbalist and Alchemist, Inc. Registration: $325 by February 20; $395 after that. Directions to registration: Drive past the new SCNM building to the parking lot with the solar panels. The Academic Building is next to the parking lot behind the new building. (This is where we’ve always held the conference.) Go in the front entrance and registration is inside the door. Arrive by 8:00 AM Saturday March 30 to register. You may also sign up for the pre-conference intensive at the door on Friday March 29 at 12:30 PM, if you are also registered for the whole conference. Cancellations: Before March 15, registration fees will be refunded minus $50 processing per registrant. No refunds can be given after 3/15/19. Refund requests should be sent in writing or by email to the conference office. Rooms start at $139/night plus tax. (800) 305-1369. Group #SBA. Discount good until March 1. -Free WiFi in all rooms. The closest airport is Sky Harbor International Airport (PHX). 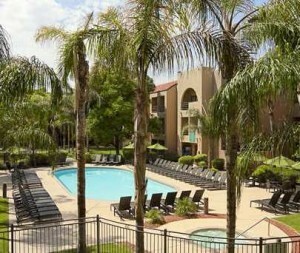 If you are flying to Sky Harbor Airport in Phoenix, van service is complimentary to the Embassy Suites in Tempe. Call the front desk 480-897-7444 when you arrive and they will send the van for you. For other airport transportation, use the SuperShuttle. California ND: application approved for 21.5 hours by CNDA, of which 11.5 can be pharmacy. Includes attendance at Friday events. Extra $35 fee for California ND CME. See California CE application details here. Application approved for 21.5 PDA (hours) to NCCAOM, which includes attendance at Friday morning and afternoon events. View Acupuncture CE application details. Application approved for 21.75 contact hours in nursing. Includes attendance at Friday events and all lectures at the weekend event (not just selected lectures). Extra $35 fee due to high cost of new application. This continuing education activity has been approved by the Continuing Education Nursing Group (formerly the Western Multi-State Division) an accredited approver by the American Nurses Credentialing Center’s Commission on Accreditation. .
otes are compiled into an online book (proceedings) which is available to all registrants at no cost. Around the middle of March, registrants will be sent a link and password to access the teacher materials. Printed books are also available for $20 at the conference ($30 afterwards). 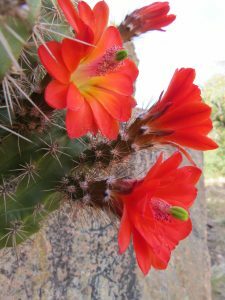 We thank Mimi Kamp for the desert photos on this page, and especially the cover photo of the ocotillo in bloom (Fouquieria splendens). 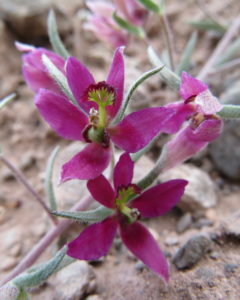 Her keen eye and close-up lense help us to see the desert in a whole new light! Thank you Mimi! Please contact us if you are interested in exhibiting. Registration includes a table for exhibiting and selling products or services and two conference registrations. Thank you to Frontier Natural Foods Co-op for their sponsorship of this online brochure. We thank Frontier for their continued annual support, and especially for making this page possible. 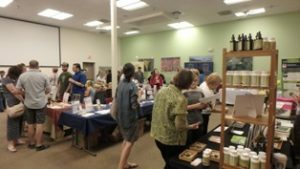 Conference featuring botanical therapies for chronic conditions, medicine making classes and herb walks in the desert landscape. Topics include botanicals for restoring gut health, musculoskeletal injuries, pain/inflammation, mold exposure, obesity due to hormonal and metabolic disruption. Pre-conference intensive on neurological and cognitive decline. CE credits for naturopathic physicians, nurses and acupuncturists.